I went streaking this summer..
After starting and quickly stopping 2 other run streaks last year, I’m happy to say that my mom and I completed the 2015 Runner’s World Summer Run Streak! Some days it was easy, some days it was hard, but overall I’m happy that I did it! I think that Runner’s World holds a run streak twice a year – once in the winter (during the holidays) and once in the summer. Last year I attempted to do both streaks and failed after about 1 week 🙁 I actually wasn’t planning on doing the summer streak but my mom convinced me that we should do it! The summer streak was 41 days, from Memorial Day (May 26) until July 4th. After looking at my racing calendar I saw that I had 4 races in June (3 10Ks and 1 Half Marathon). Because many of those races were not long distance, I felt okay to do the streak, but I did have some concerns. I’m not someone that likes to run every day. I usually run 4 days a week and do some form of strength training the other 3 days. I was concerned that running daily would cause flare ups from previous injuries. I was feeling great the first week of the streak! It felt nice to get in a run every day, even on my strength training days. After the first week I started feeling the aches and pains from all the daily runs. More mileage – Daily runs helped me log a total of 127 miles and made June my first 100 mile month in a long time. Being active daily – Sometimes a rest day is needed, but I really liked the idea of staying active on a daily basis. 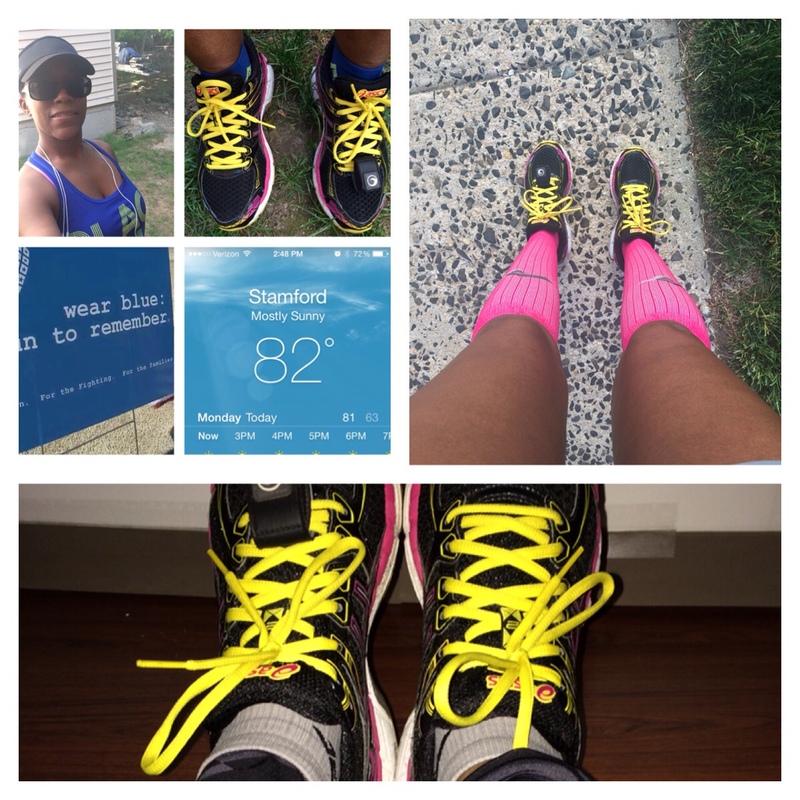 Injuries – Running every day made my ankle injury flare up. It was also very painful on my knees. I remember one 4 mile run where my knees were aching the entire time. It was not fun. 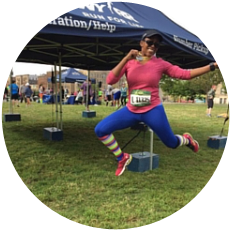 Running while cross training – Typically when I do any strength or cross training, I like to focus solely on that, and not running. I don’t feel like I get quality runs after strength training. Sometimes you don’t want to run! – Let’s face it – Sometimes you just don’t want to run! This was especially true for me two nights during the run streak when I got home after 8 p.m. after enjoying happy hour. The LAST thing I wanted to do was run, but I ran 1 mile and called it a night. Would I do the run streak again? YES! This winter I will not have any races scheduled for December so it would be good to participate in the Winter run streak to help keep me active during the holidays. 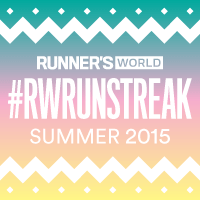 Have you ever participated in a run streak? Did you like it? While I love the idea of a run streak, I'm worried that I'd flare up some simmering injuries with daily running. I'm a huge believer in rest days. I agree. What I started doing was only running a mile on my strength training or rest days. Some days it was more of a jog vs a run. I did the winter run streak once, and I probably wouldn't do it again. I was so tired by the end! Congrats on making it through the whole run streak! It's really hard for me to stay on track during the holidays because of all the parties, work, shopping,, etc so that is the only reason I would consider doing a winter streak!